All creatures great and small, from exotic to domestic. Is she playing peek-a-boo? 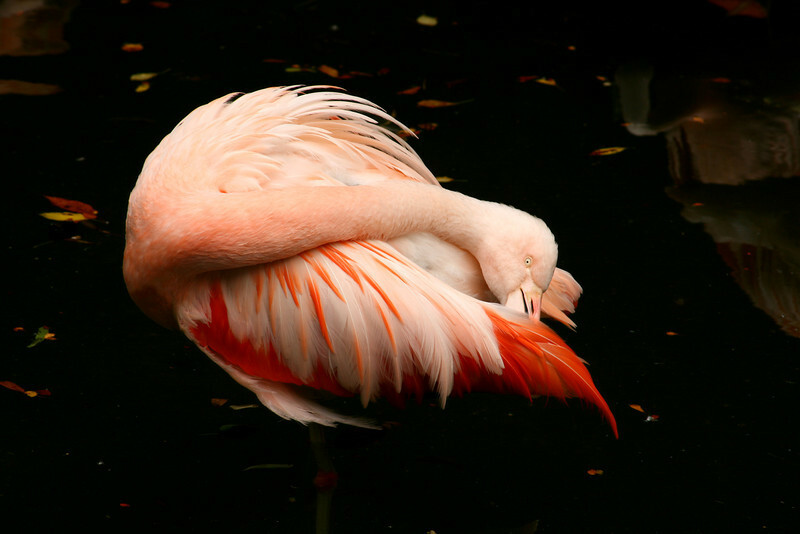 The flamingo peeks out from beneath her pale pink wing.